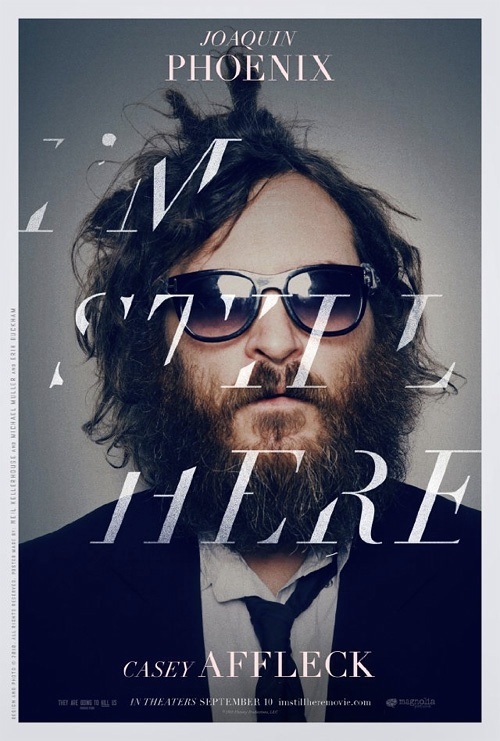 DVD Review - "I'm Still Here"
In 2008, Academy Award nominee Joaquin Phoenix announced that he was retiring from acting and would be focusing on his rap career. The strange story took hold of the media and culminated in one of the weirdest interviews in the history of the medium with Phoenix appearing blitzed out of his mind and disinterested and a clearly perturbed David Letterman going out of his way to poke fun at his guest. Shortly thereafter it came to light to Phoenix's brother-in-law, Casey Affleck, was filming his career transition for a documentary that would come to be titled "I'm Still Here." The bumbling attempt at hip-hop, however, takes a backseat to the no-holds-barred depiction of the chaotic and drug-fueled lifestyle that Phoenix lives. 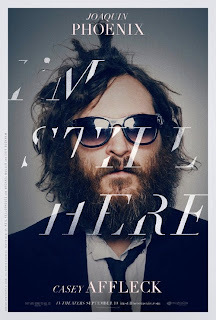 Soon after its release, Affleck let slip the fact that "I'm Still Here" was actually not a documentary but instead an insanely personal look at method acting. Where the truth actually lies is anyone's guess but there's no denying how fascinating this film is in its best moments. In some ways the prior knowledge gained from Affleck's admission takes away from the impact of the film. At the same time, however, it leads the viewer down a dark path as you find yourself wondering how much of this is real and how much is just for show. This is one of the most authentic performances I've ever seen and whether all of "I'm Still Here" was done just for the camera or if Affleck's statement itself was a lie to protect Phoenix, there is some measure of reality to Phoenix's behavior. Let's not forget that Phoenix's brother, River, had serious issues adjusting to life in the spotlight and ended up dead from a drug overdose in front of an LA nightclub. The most telling moment of the entire film comes early on when Phoenix admits that he's tired of playing his most tiring role, that being the actor Joaquin Phoenix. It's a statement that wreaks of honesty, a truly sober moment amidst a drug-addled rant that goes on for several minutes. I'm left feeling unsure as to which parts of "I'm Still Here" should be taken as fiction and which parts hit too close to the mark to be anything but truth. That question, along with a few scenes that probably should have been left on the cutting room floor, distract from the would-be power of the film. Ultimately, "I'm Still Here" is a flawed and profoundly sad film that is highlighted by one of the most engrossing but hard-to-watch performances you'll ever see.